Join us for shopping, classes, lectures, and demonstrations! Please note ~ pets are not permitted anywhere on the fairgrounds, including the parking lot. 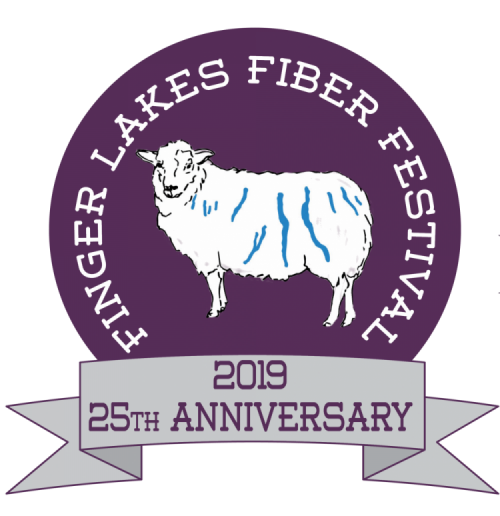 The Genesee Valley Handspinners Guild, Inc. began the festival and continues to be the main sponsor. The Guild welcomes new members and serves as a great resource for those who already spin, as well as a supportive environment for those wishing to learn, and we encourage you to join. Membership forms may be found at the Souvenir Booth in the Exhibition Hall and on this website. Joining at the festival has the benefit of an additional four months of membership for free. Our festival is organized entirely by volunteers and the festival could not happen without the many people who generously give of their time each year. If you are interested in volunteering, please contact Jaye Knight. Volunteering entitles you to free admission for the day you volunteer (plus the opportunity to hang out with other fiber-loving people)! We invite you to take a break from shopping to join us in the Commercial Building to sit and spin, try out a wheel if you are new to spinning, and meet other spinners. Guild members will be on hand to answer questions about spinning and getting started on a wheel. A fantastic collection of local guilds will be on display in the Commercial Building. Please stop by to chat with guild members, see their work, and obtain more information on each guild.